There are few firearms I love more than an AR-15…especially an affordable one that runs great. As a former gunsmith/rifle builder, I’ve put together probably two hundred of them, and about a dozen missing or dropped pins and springs later…I still love building them. Of course, as much as I enjoy building them I love buying them too. I’ve bought and sold maybe a dozen rifles in just the past few years, and most of them were sold so I could buy a different AR. I love the customization and freedom the AR-15 platform provides, and I love having one rifle that I can reconfigure to suit almost any need I may have. I really do love these guns. But my wallet freaking hates them. See, in my heart, I hear “MORE GUNS!”, but my head says “Maybe pay rent instead”. See, like most of you, my eyes are a bit bigger than my bank account balance when it comes to the guns I want to buy or build, so I have to be very selective when it comes to acquiring new pieces for the safe. That’s where this guide comes in. I’m going to share every tip, trick, secret, and stray scrap of advice I have about building or buying an AR-15 on the cheap. The goal here is to get more people out shooting and to get more guns in the hands of the law-abiding American public. Like Clint Eastwood almost certainly never said, “More guns is more better”. Today, we’re gonna talk about how to get your hands on a cheap (but not cheaply made) AR-15. There are two paths to this, building or buying, and we’ll cover both in detail so you can decide which route is the best for you. First, we have to talk about what exactly I mean when I say “cheap”. See, some things are cheaply made, like Suzuki cars and Hi-Point handguns. Don’t hate me, Japanese people, Toyota’s are great. If you’re a Hi-Point fan though, I don’t really have anything to say to you except to ask… Who hurt you? In other words, cheaply made is bad. Cheaply made is un-American. Cheaply-made can be downright dangerous in the firearms world. Most importantly, cheaply-made isn’t cheap. Ever hear the phrase “buy once, cry once”? It’s pretty self-explanatory, and it is incredibly relevant to all things firearms. If you’re buying cheaply-made guns, optics, or other accessories, you’re really only setting yourself up to spend more money in the long run once your “bargain” breaks. So, when I say “cheap” please understand that I’m talking in relative terms. Buy crap and you’ll regret it, and if a deal looks too good to be true, it almost always is, especially in the firearms world. What does “Cheap AR-15” Mean Then? I have an AR that, if I was really brave enough to actually price all the parts out, would probably clock in around $3,000. I understand the appeal of a gun like that, but that’s just not practical for most people. We’re getting into “down payment on a car” territory at that point, and for the average American, that’s just not a feasible amount of money to tie up in one gun. Fortunately, you can get a cheap (not cheaply-made) AR-15 for much, much, much less than that. That’s right, I’m talking $400-$550 AR-15s here, baby. And there are two different ways you can go about getting one of your very own. When in doubt, get your credit card out! There are actually a number of manufacturers that make guns in this price range, and even more that have sale prices that will drop into this range. Are these all good AR-15s? I wish I could say yes, but unfortunately, no. And I’d be extra suspicious of anyone offering a decent AR-15 for under $400 because they likely also have a bridge in Brooklyn and some magic beans they’ll sell you. The truth is, it takes some serious effort and know-how to spot the diamonds in the rough, and it’s easy to get caught up in the excitement of a good deal. Remember what we talked about earlier though! Those once-in-a-lifetime opportunities are often going to cost you more in the long run when your gun breaks down and could end up costing you everything. That’s why we follow a few simple rules. Let’s go over these one-by-one. This seems obvious, but it’s worth stating. Look very, very carefully at the gun in question. What exactly are you getting? Is it really a complete gun, or are you going to have to spend $150 on a bolt carrier group and charging handle? What about the manufacturer? Do they have a history of producing reliable products? Do they have good customer service? What’s their warranty look like? I’m a lot more willing to give my hard earned money to a company that’s willing to stand by their product after its been in my hands for a while. That brings me to my next point, which is to focus on established, reputable manufacturers. Is the gun from a company that’s been around for years, or did it just spring up last month? 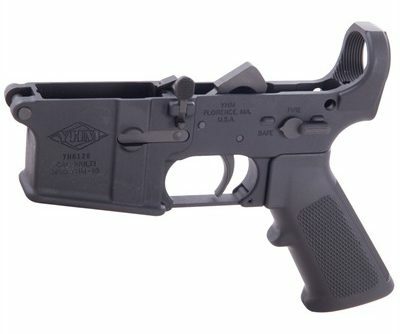 I used to work for a small rifle builder, so I’ll be the last one to cast aspersions against those folks, but if money is tight, I’m much more likely to spend my dollars with somebody like PSA, Radical, or Spikes, someone that has been in the game for a while, rather than spend money with Uncle Tucker’s Discount AR-15 Maker and Live Bait Emporium. This also just comes down to economics. Larger manufacturers can make a rifle for cheap simply because they make money in volume. Artisan cookies are great, but Great Value Chunky is cheap. Ask Yourself: Why is it So Cheap? There’s no such thing as a free lunch. If an AR-15 is cheap, there’s a reason for it. 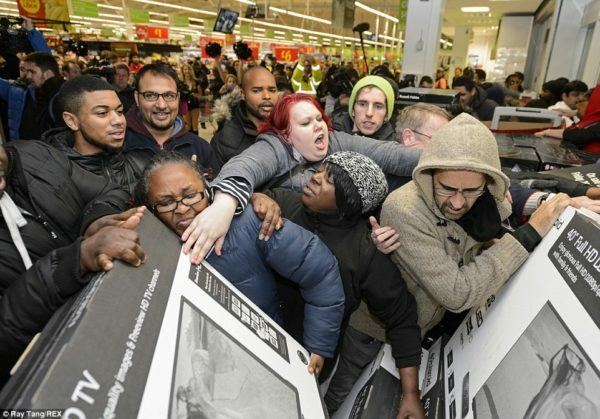 I work with a whole lot of retailers and not one of them drops their prices through the floor out of the goodness of their heart. And that’s fair, these folks have to make a living too, I just don’t want it to be at my expense. So, with that in mind, it’s important to ask yourself just why the price tag on that AR starts with a 4 instead of a 5 or a 6. Sometimes, it’s so a retailer or manufacturer can clear out old stock. This is especially relevant for companies like Aero that are constantly innovating and improving, or for companies like DPMS that seem to have a new model out every time the wind changes direction. Often it’s because, like right now, demand is down. When it looked like we were going to get a President in office that wasn’t big on AR-15s to say the least, lots of folks churned out ARs in preparation for panic buying before the inauguration. Given the way things went, no one really panicked, and no one really bought, so a number of manufacturers ended up with extra inventory that they didn’t shift, and in some cases still haven’t shifted, so that can be a reason for low prices. Of course, the simple fact of the matter is that low prices can also mean low quality. 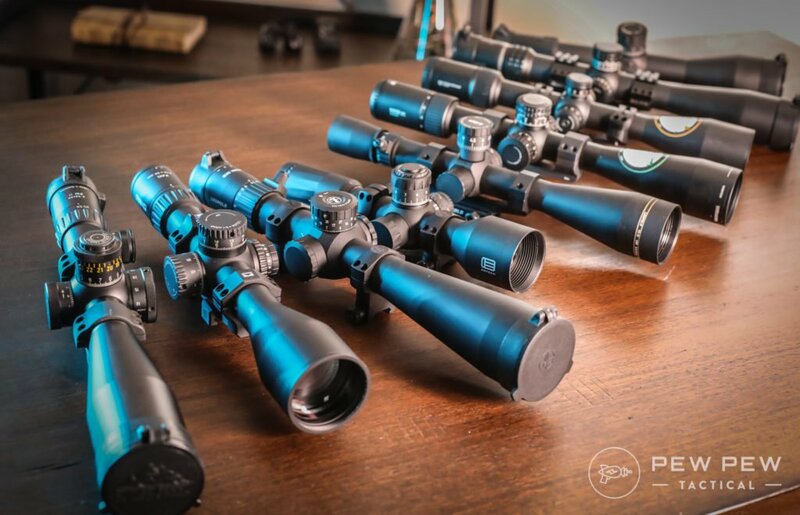 Check the manufacturer out and see how their other products stack up, and if possible hold the particular rifle in hand and look for machining defects and flaws in the finish. A lot of times a little thing like a machining burr on a handguard, or a thin spot in the finish will tell you a lot about the overall care and attention that goes into making a gun. Finally, I recommend that you sleep on it unless it’s truly time-sensitive, in which case you should spend even more time on your research. You sleep like this, right? A lot of times, we gun owners have a tendency to go “OOOOOH I WANT THE SHINY THING” and whip out the debit cards like gunslingers in the Old West whipping out a six-shooter, and like those fabled outlaws, we sometimes tend to shoot first and ask questions later. I think it’s better to really take the time to consider your decision before whipping out the wallet if at all possible. Alright, lecture over, let’s get to the fun part. This is the part where we talk about the cheap ARs that are actually worth your money. These are the guns that I’ve either tested, owned, or had recommendations about from people I trust to know what they’re talking about. If you’re looking to buy instead of build, here’s where I recommend starting. PSA is my all time, top, number one recommendation for my fellow cheap peoples who are looking for…well, most anything firearms related, really. I’m not 100% sure how they do it (though I think witchcraft is involved) but they always seem to have the lowest sale prices in the industry on everything firearms related. What’s more, they actually have their own in-house brand of AR’s, AK’s and other rifles, and they’re all available well under what most comparable competitors are selling similar products for. Make no mistake, the lower end of PSA’s inventory is very no frills, and you won’t get a lot of extra features, but by God, the guns shoot and you only have to shell out five or six bills for them. It’s hard to argue with that. 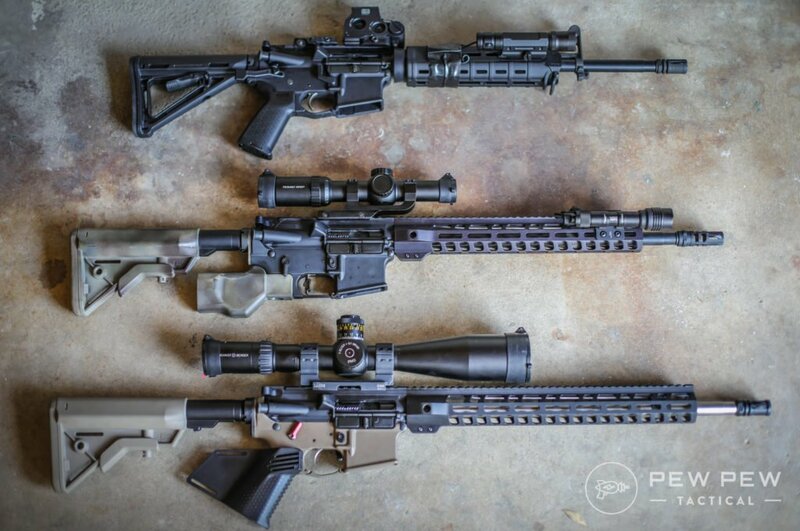 You’ll want to read some of our Slickguns Reviews of their stuff, we’ve covered almost everything they make but for now – start with our Slickguns Review of 3 of their PSA AR-15s. What’s your take on PSA? DPMS is one of the oldest names in the AR game, to the point where one of the major classes of AR-10 is usually called “DPMS” style. We’re here to talk about the AR-15 thought, and DPMS whips up a pretty good AR-15 too. DPMS’s low-end rifles are still better than a lot of higher-end rifles, and while it’s true that you get what you pay for, sometimes you can get quality for relatively cheap, which is definitely the case here. Radical is a company that I’ve talked about before and they continue to impress me. Despite some growing pains early on in the company’s life, Radical Firearms is now churning out rifles that are great entry-level guns. While they do have some higher-end stuff, their focus, at least for the moment, is on well-engineered rifles that are very carefully manufactured to cut costs (but not corners) wherever possible, and they pass those savings along to the consumer. I’m still a machinist at heart, so seeing people take the time to not only figure out how to make a quality product but to also take the time to make sure they’re constantly working as efficiently as possible, makes me happy. You almost can’t talk about budget-minded firearms without talking about ATI, and now that ATI has gotten into the AR-15 game, they get to be included on this list too. They make my favorite affordable, yet functional 1911 that’s about as close to the original’s our grandparents fought the Nazi’s with as you can get without paying through the nose for an original, or paying slightly less for a replica. Their rifles are, frankly, surprisingly good, especially for the price. I’ve shot three of them now, and while I haven’t tested one sufficiently to write a full Slickguns Review, I’ve definitely got enough time behind the guns to recommend them. Now, if you just want to buy an AR-15, you can skip down to the end of this article without missing anything, but I encourage you to stick with me because there are some things in here you might need to know. Plus, as I always say, it’s waaaaaaaay easier to build an AR-15 than you think, especially if you’re just capping off a built lower with a pre-built upper. We’ve already talked at length about how to build an AR, so I won’t go over that here, but I will give you a little homework. Give this guide a look and see if you want to build or buy. Now, let’s talk about parts. 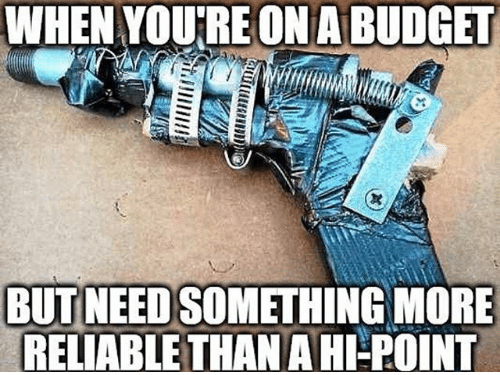 Like anything else, sometimes you pay more for a name than the materials and manufacturing, and with AR-15’s there are a few parts that you can go the cheap route with and be just fine. 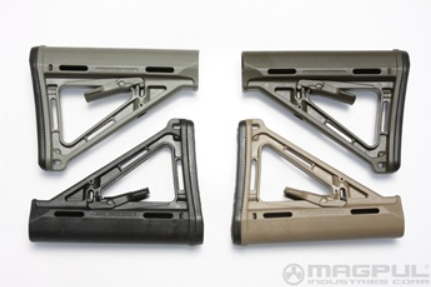 Lower: I like cool looking lowers as much as the next guy, but a lower is a lower, and there’s not a huge amount of difference between the $30 ones, and the $300 ones aside from aesthetics and strength, but you shouldn’t be doing anything to your lower that could break it anyway. 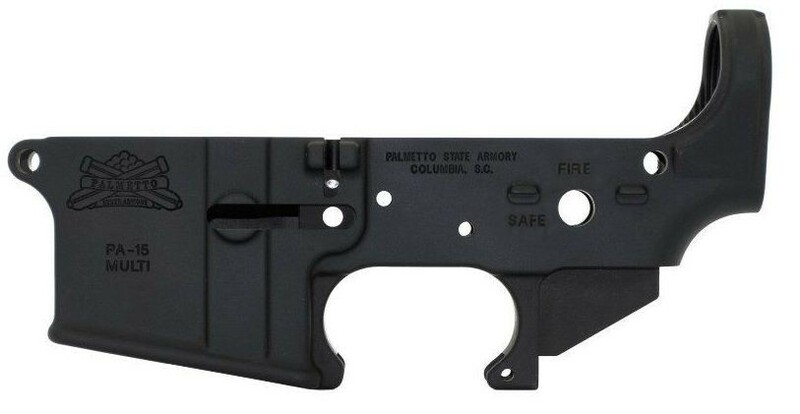 Check out our Best AR-15 Lowers for more info. 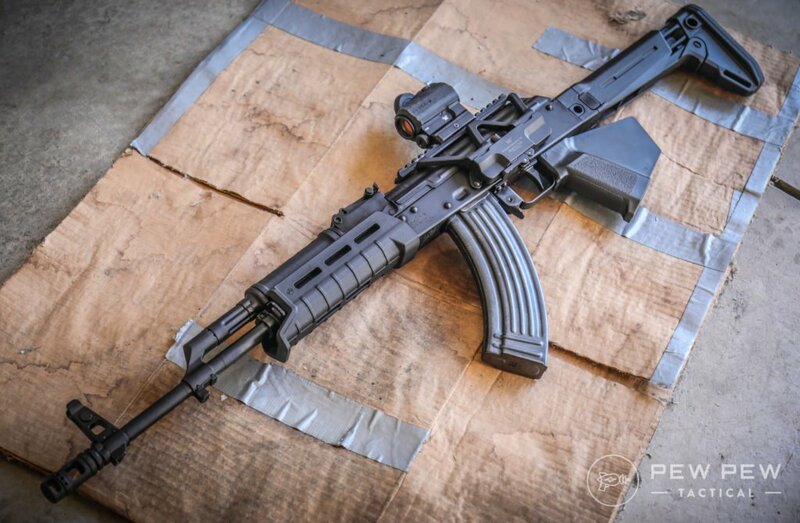 Handguard: This one is a toughie, but in general you can get by with a basic A2 handguard at the minimum and it won’t make much difference to the function of the gun, but it will make shooting it less fun, and it cuts down on the grips, lights, and coffee makers you can hang off the side. Check out our Best AR-15 Handguards if you want to ball it up a little more. Stock: A cheapo stock will be just fine. You can swap a new one in with about five minutes effort, and there are roughly ten million options out there. A2 and M4 style stocks are almost literally a dime a dozen, and if they’re good enough for our armed forces, they’re good enough for us. If you want a complete breakdown and Slickguns Review of a bunch of stocks though, read the Best AR-15 Stocks. Pistol Grip: Same as the stock, a standard A2 grip is so cheap you can almost find people giving them away, and you can swap to a better one in about thirty seconds if you practice. 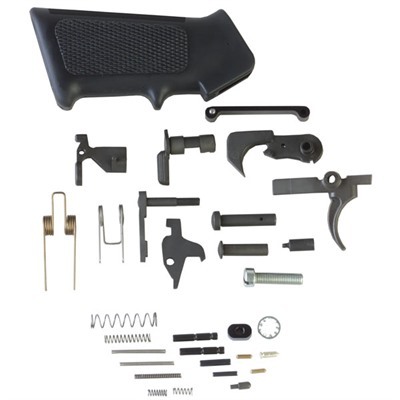 Lower Parts Kit: Most of them are the same anywhere you look, and other than the trigger you are never gonna notice a difference. 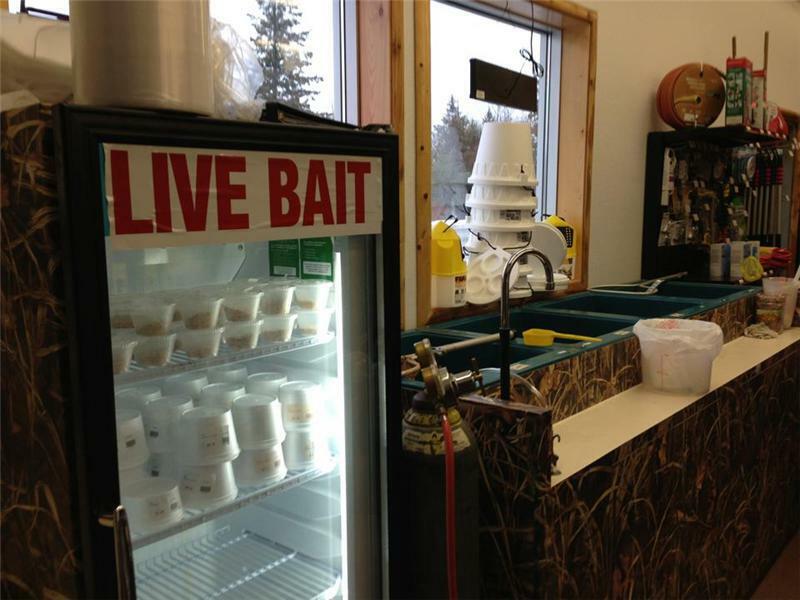 Some LPKs come with a grip and trigger, so that can save you money and steps. Trigger: The trigger is your primary interface point with your rifle, so it makes sense to start there if you’re looking to get something a little nicer with better performance. Try to aim for a lower parts kit with no trigger so you can pick your trigger yourself. This is an important part though, so make sure to do your research before buying the trigger that is right for you. 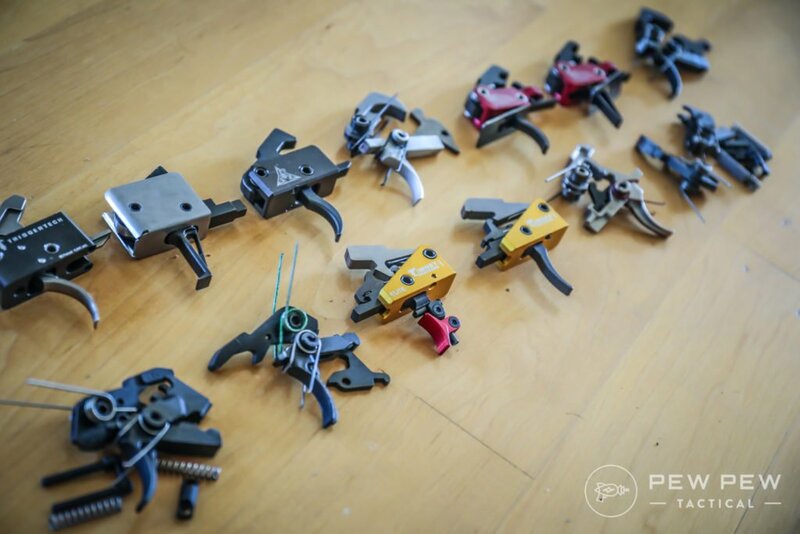 A great starting point is our Best AR-15 Triggers article. It even has cool videos! 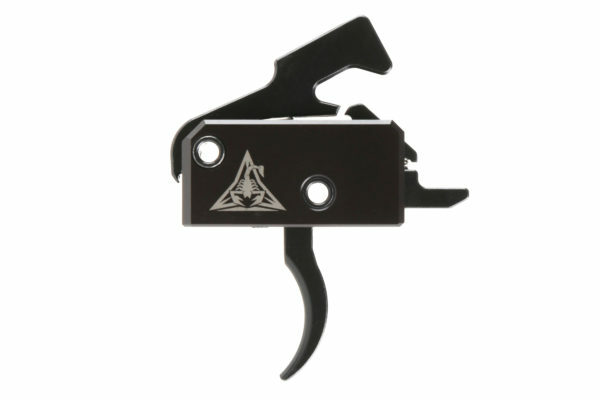 Best bang for your buck though, I highly recommend the Rise Armament AR-15 Super Sport Trigger since it is super easy to install, cheap, and a great trigger. Barrel: After the trigger, the barrel is going to be your biggest accuracy bottleneck, so if you’re going to upgrade, this is your second stop. Faxon is often at the top of our list for barrels with their Gunner profile being the top of the top. Again, this is one of the critical parts – so take some time and read through our Best AR-15 Barrels & Manufacturers before choosing the barrel that is right for you. 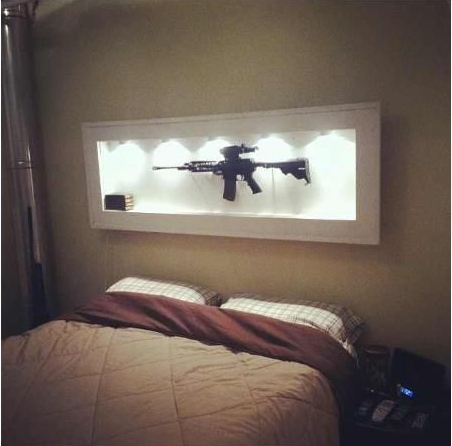 The Best Places to buy Guns Online are all good starting points. Beyond that (shameless plug incoming) be sure to check out our Daily Deals page on the website and our Facebook page for the best sales and deals we find and post every day. Alright, that does it for this one. Hopefully, you have a better idea of how to get your hands on an AR on the cheap, whether you’re looking to build or buy. Remember, cheap doesn’t always mean cheaply made, and sometimes a bargain isn’t really a bargain. Don’t forget your optics! 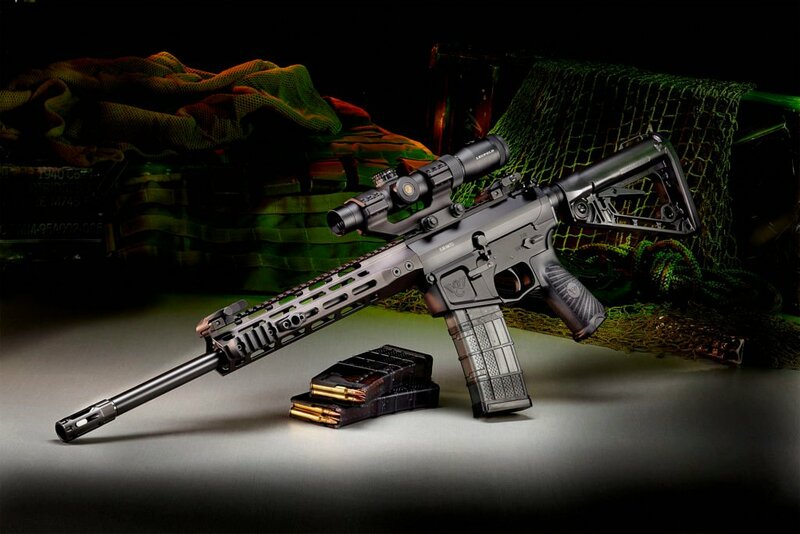 Best AR-15 Optics will help get you started off right! Buying one of these rifles, or building one following these guidelines should get you a lasting bargain, and one that you’ll really get your money out of. What do you think of these cheap ARs? I know you want one, so are you building or buying? Let me know in the comments below! 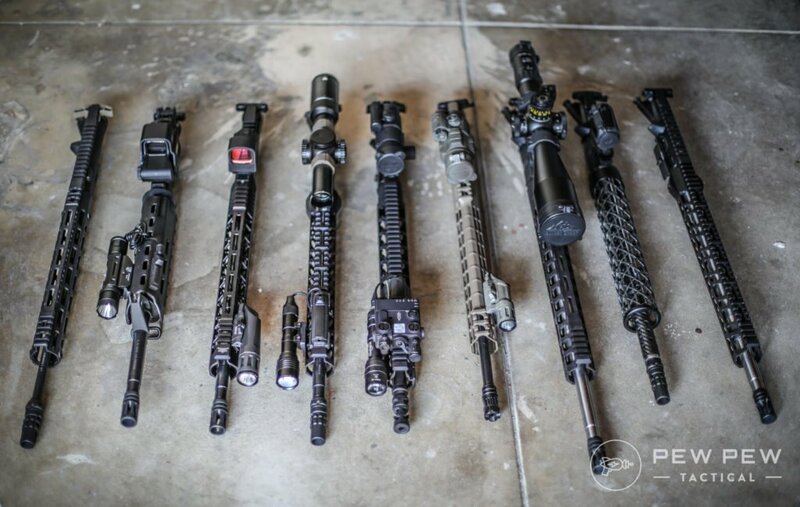 Want to learn everything AR…check out our Definitive AR-15 Guide. 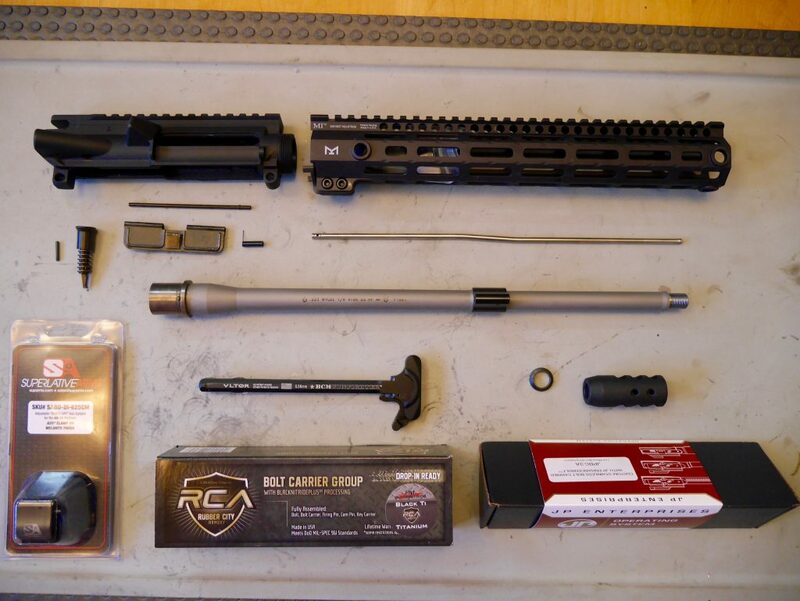 The post Cheapest AR-15 Complete Rifles & Builds appeared first on Pew Pew Tactical.